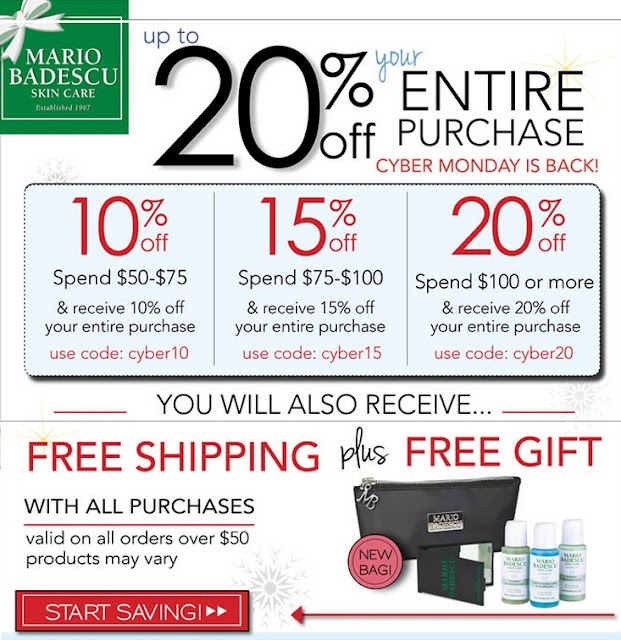 Mario Badescu is offering 20% OFF your entire purchase* when you spend $100 or more. You will also receive free shipping and a free gift bag. Enter coupon code CYBER20 at checkout. Offer is valid today, only.